U.S. News & World Report gives Ithaca College high marks for both quality and value in its just-released rankings. IC is listed as the #8 “best college” in the North region among the 196 institutions of its kind, and at #13 for providing a “best value” — combining that quality education with an affordable cost. The rankings are based on what the magazine considers key measures of an institution’s quality: peer assessment, graduation and retention rates, faculty resources, student selectivity, financial resources, graduation rate performance and alumni giving. 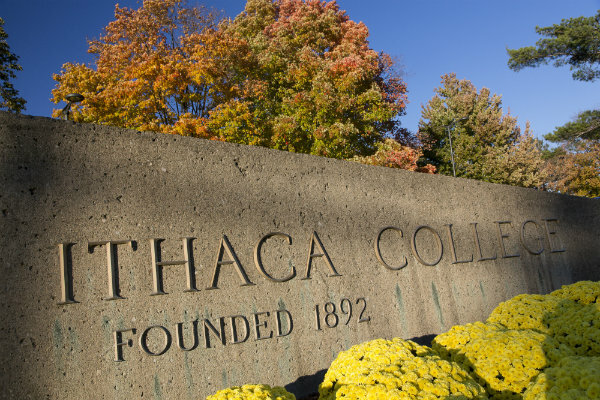 This is the 23rd consecutive year that Ithaca College has been ranked in the top 15 by U.S. News & World Report. The magazine places Ithaca College in the regional universities category, which includes institutions that provide a full range of undergraduate majors and master’s degree programs but few, if any, doctoral programs (Ithaca College offers one doctoral program). For this category, the rankings are divided into four regions — North, South, Midwest and West. The magazine also has separate ranking categories for national universities, national liberal arts colleges and regional colleges.